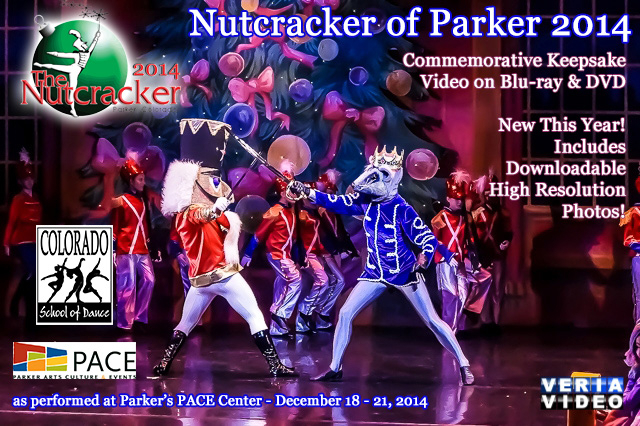 Veria Video In Association With The Colorado School of Dance in Parker, CO presents the 11th Annual Edition of the Nutcracker of Parker for 2014. All orders will be shipped to your specified shipping address. Videos will be ready by mid to late January 2015. New this year! We'll be including downloadable high resolution digital photos from each cast and each scene performed! Check our Facebook page for a few samples or click here!